“OTTOMAN BED” THE PERFECT SPACE SAVE SOLUTION CANADIAN MADE!! Looking for a sleep solution for a small space , but don’t want the expense of a sofa bed? We have the perfect option! Made in Canada with solid wood framing , this great “Space saver” folds away in seconds , and makes a beautiful ottoman! Available in 3 different materials, and 11 different colors (Linen ,Velvet , and bonded leather) is also attractive to the eye! 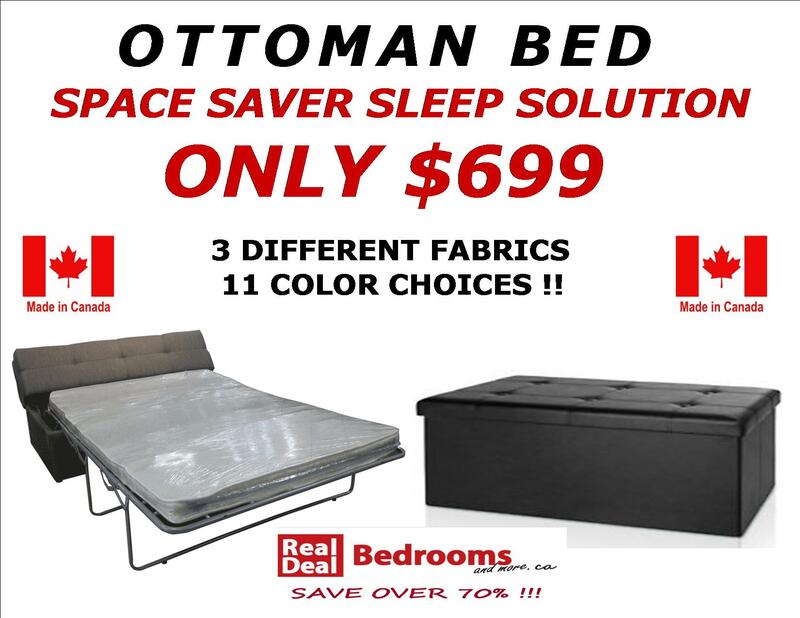 Come and check out the ultimate space saver now on sale!